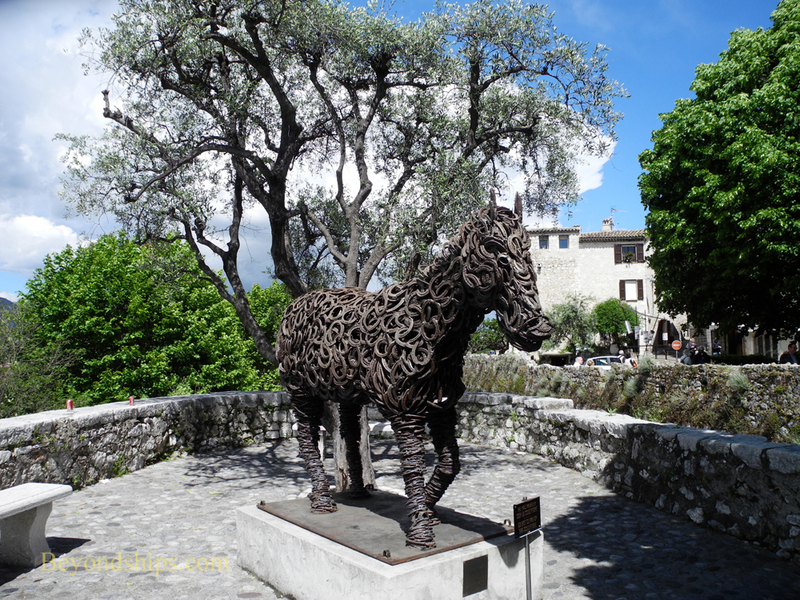 Perched atop a high hill approximately 20 km from Nice is St. Paul de Vence. Photogenic and charming, this medieval village has attracted some of the world's greatest artists. It also attracts about 2.5 million visitors a year. While the cafes and shops are geared to tourism, the commercialization is not intrusive. Rather, the cafes and shops blend with the atmosphere of the town. Above: The Esperon Tower is part of medieval fortifications. 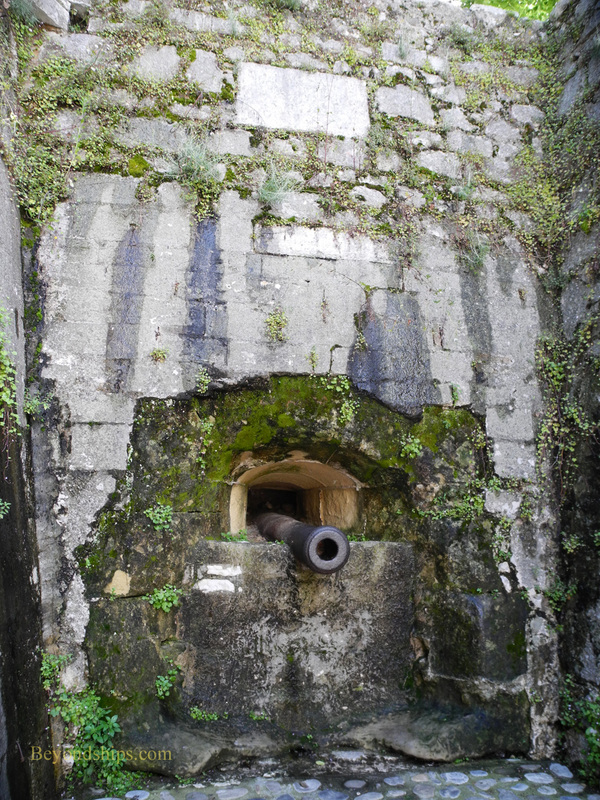 Right: A cannon taken as a trophy during the 1544 Battle of Cerisoles guards one of the town gates. During the Middle Ages, St. Paul de Vence was a strategically important town. Therefore, it was fortified in the 14th century. A second wall encircling the town was added by King Francois I in the 1540s. 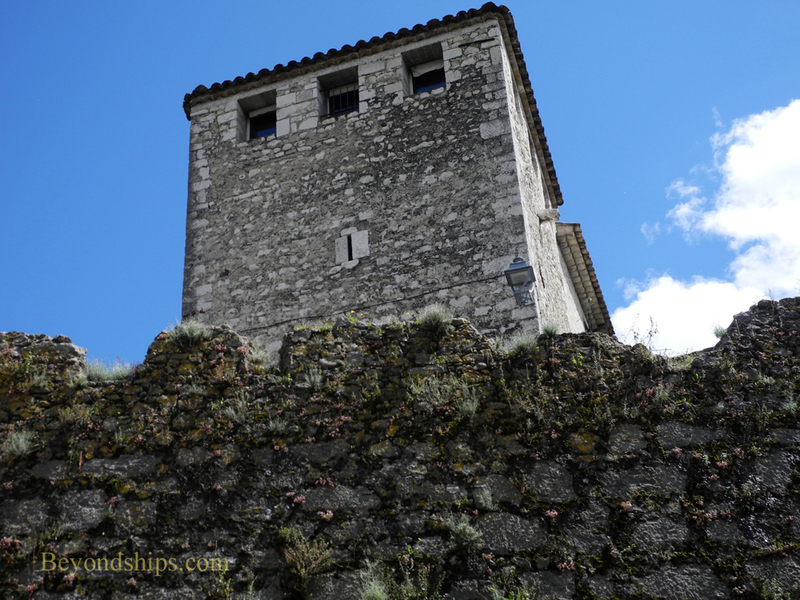 Medieval walls still surround the town and visitors can walk the ramparts. St. Paul had a rebirth in the late 19th century as a home for the arts. Penniless artists such as Bonnard, Modigliani, Duffy and Signac found a welcome here. Marc Chagall lived in St. Paul for 10 years and is buried in the town cemetery. During the 1950s and 1960s, St. Paul attracted artists involved in French cinema such as the screenwriter Jacques Prevert and actors Yves Montand and Simone Signoret. The town maintains a connection with the arts. It is sprinkled with modern public sculptures and there are art galleries seemingly on every street. Nearby is the Fondation Maegt, a museum of modern and contemporary art. Actor Yves Montand used to play boulles outside the town walls (right). The Colombe d’Or (left) was frequented by artists such as Picasso and Matisse and the inn still has an impressive art collection. 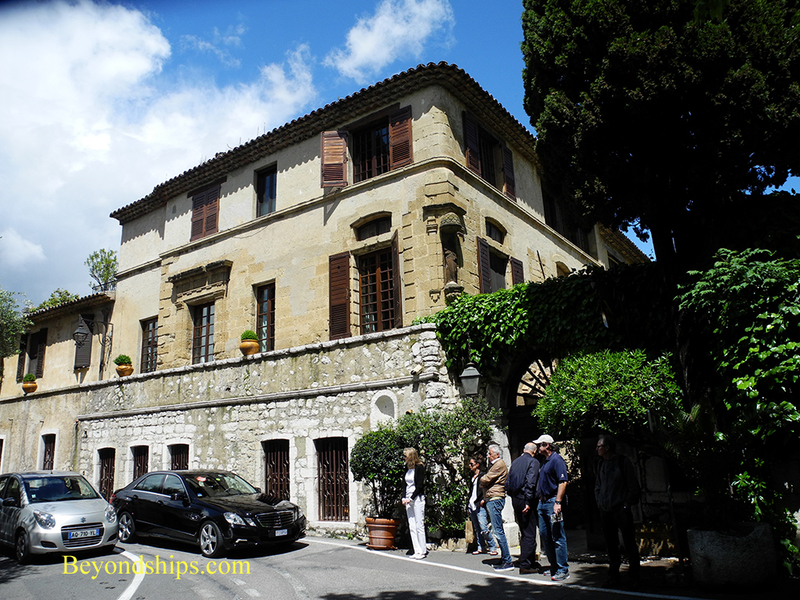 The real charm of St. Paul de Vence is the beauty of its streets and buildings. 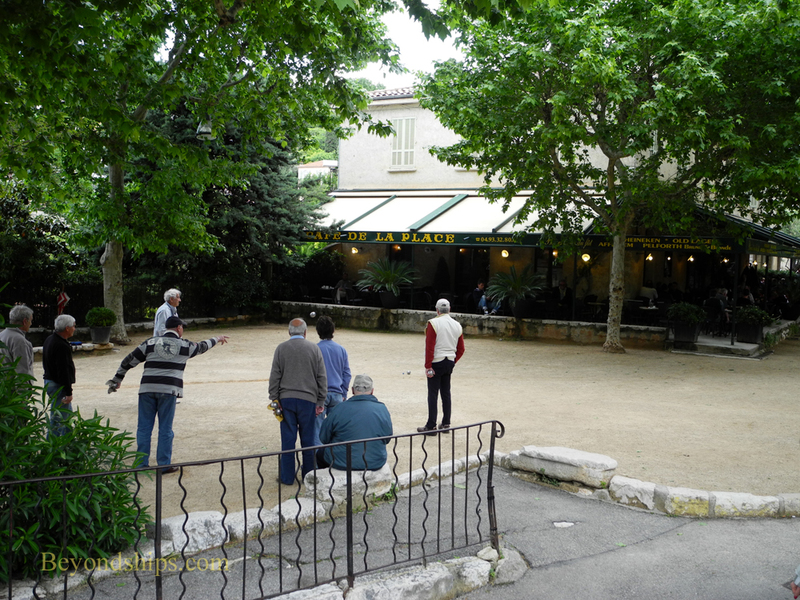 Indeed, the attraction of St. Paul de Vence is any one landmark or historic site but rather the town taken as a whole. 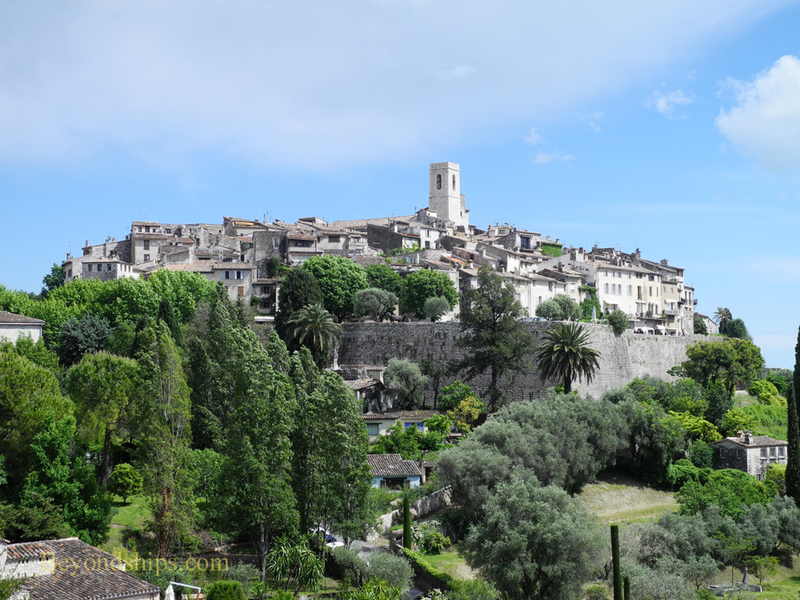 Visitors can walk St. Paul de Vence in under two hours. Autos and other vehicles are banned from most of the town so walking is the only way to see the town. The pavement is somewhat uneven and the narrow streets are hilly. Cruise ships calling at Villefranche, often offer shore excursions to St. Paul de Vence. Independent travelers can reach St. Paul de Vence by going into Nice and taking the 400 Nice - Vence bus. The bus ride takes about an hour.